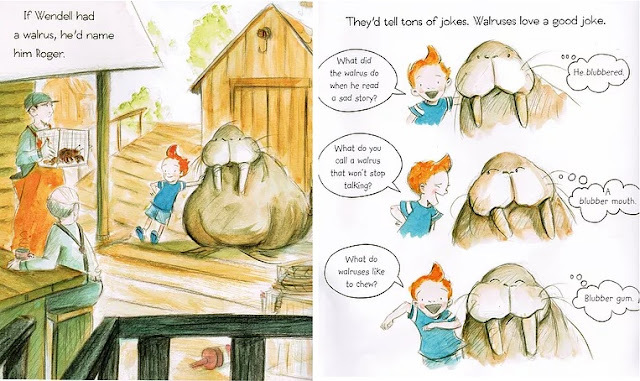 We are excited to feature the award-winning children’s book author of more than 70 books and over 350 stories and articles Lori Mortensen and her fabulous new book, IF WENDELL HAD A WALRUS, illustrated by Matt Phelan (Henry Holt). Welcome, Lori! Interestingly, I wasn’t one of those writers who are born with ink in their veins. Although I was an avid reader growing up, writing never occurred to me. It felt like whoever wrote those childhood favorites must have lived a million miles away from my ordinary home on Jennie Drive. 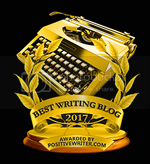 I didn’t begin writing until I was a stay-at-home mom of three. Before the kids came, I’d typed mountains of documents for attorneys, accountants, and engineers. When I was reintroduced to children’s literature through my children, I wondered what I could write. I’ve been writing ever since. I write picture books because I love them. Although they’re short, they’re this perfect little package of art and words packed with humor, heart, wit, surprise, and meaning. 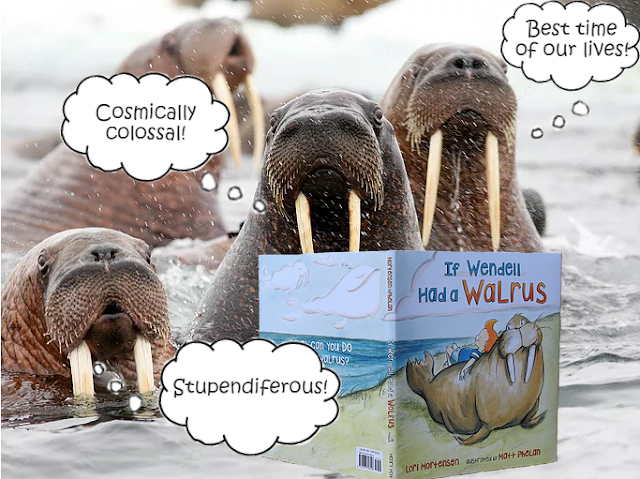 Congratulations on your latest book, IF WENDELL HAD A WALRUS. Tell us about it and what inspired you? It would be awesome to say I was frolicking about with some walruses on the beach when the idea struck. However, the truth is far less glamorous. Sometimes when I’m searching for an idea, I read a bunch of my favorite picture books to get the creative juices flowing. After a while, all those images and lyrical narratives start stirring my imagination. In this case, I’d been reading AND THEN IT’S SPRING by Julie Fogliano, THE QUIET BOOK by Deborah Underwood, and several others. As I sat there in my office, I imagined being a boy staring up at the clouds. What would he possibly see? I wondered. A walrus, of course! Once I had the idea, it was fun to see how it would all work out. You’ve had a long career as a picture book author. 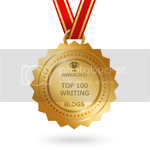 Was your road to publication long and windy, short and sweet, or something in between? Great question. For me, it’s been a long road filled with stepping stones. When I began writing, I focused on the magazine market. It was a great fit as a beginner. Magazine publishers need content every month and it was challenging to study what they published and see how I could create stories and articles they would want to buy. I liked the variety as well. Sometimes I’d write fiction, sometimes nonfiction. Sometimes poems, puzzles, or rebuses. As sales increased, my confidence grew and I contacted school and library publishers for writing assignments. It was a huge plus to be able to include magazine credits in my cover letter. I was thrilled when KidHaven Press published my first book BASILISKS, in their Monsters series. At the time, writing this 5,000-word book was a huge learning curve. But with each book assignment, my skills improved. Along the way, I began writing picture book manuscripts for trade publishers—the most satisfying and tantalizing goal of all. But it all began with magazines. I recently completed two books for Capstone Press in their Dance Today series, and I’ve got two picture book biographies coming out in 2019 and 2020. One with Peachtree and another with Houghton Mifflin Harcourt. Right now, I’m working on a couple of fiction picture book manuscripts. It’s challenging and frustrating, especially when I may not always know where I’m going in the beginning. But bit by bit, it starts to come together. The trick, I’ve found, is to keep at it. Persistence. One of the most meaningful comments I heard at a writing conference came from the fantastic writing team of Judith Enderle and Stephanie Gordon, published as Jeffie Ross Gordon. They once said, “If you only knew how many times we’ve been rejected.” In that instance, I knew several important things. I knew they hadn’t pinned all their hopes on a single manuscript. They were writing a lot of manuscripts to be rejected so many times. I knew that rejections weren’t the end. They were just the beginning. I knew that even successful writers are rejected. And that gave me hope. It might surprise some people to know that I earned my degree in dance. Who knew, right? I used to wonder how a dance major became a children’s author and I’ve come to conclusions that they’re both ways of telling stories. Before, it was on stage. Now, it’s on the pages of a picture book. My website, www.lorimortensen.com, is the best place to find me. But I’m also at FB, Pinterest, Twitter, and YouTube. Readers can also find my books at Amazon, Barnes and Noble, Indie booksellers, and publishers’ websites. 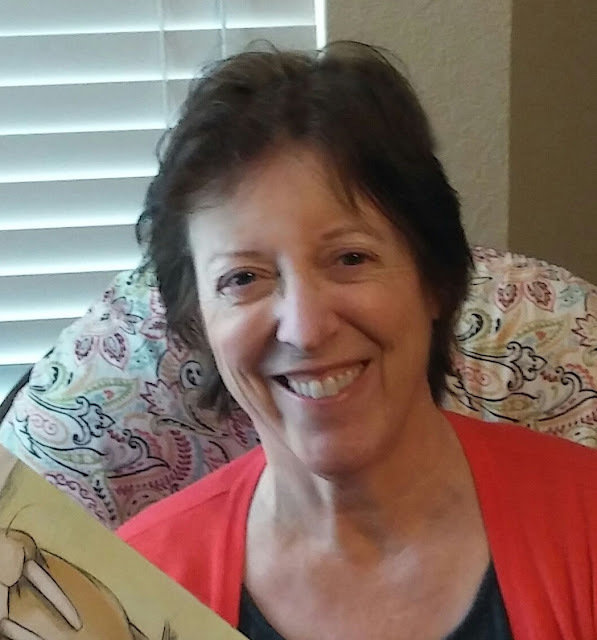 Lori Mortensen is an award-winning children’s book author of more than 70 books and over 350 stories and articles. Recent picture book releases include If Wendell Had a Walrus (Henry Holt), Chicken Lily, (Henry Holt), Mousequerade Ball (Bloomsbury) illustrated by New York Times bestselling illustrator Betsy Lewin, and Cowpoke Clyde Rides the Range (Clarion, 2016) a sequel to Cowpoke Clyde & Dirty Dawg, one of Amazon’s best picture books of 2013. When she’s not letting her cat in, or out, or in, she’s tapping away at her computer, conjuring, coaxing, and prodding her latest stories to life. For more information about her books, critique service, events, and upcoming releases, visit her website at www.lorimortensen.com. A degree in dance? I love it! Perhaps a book about dance or for young aspiring dancers in the future? Thanks for a wonderful interview. Looking forward to reading the new book! Thanks, Raven. It feels like I've had the best of both worlds. Thank you so much for your words of wisdom! This sounds like a fun walrus book! Interesting to learn about the author's career progress! I can't wait to read this book. It sounds like a favorite. Thanks for the post. Persistence--aargh! I have many of your books, Lori! Thank you for sharing your journey! What an impressive track record!! Thanks for sharing your thoughts and insights. Loved hearing how you came up with the idea for this story. Thanks, Marty! Yeah, ideas come in different ways. I enjoyed hearing your road to becoming published. Best of luck on your new book. Thank you Lori! I would love to hear more about the picture book biographies you are working on. You're welcome Elizabeth. The upcoming release is AWAY WITH WORDS: THE DARING STORY OF ISABELLA BIRD, a Victorian traveler who defied expectations of what a woman could and couldn't do. This one is coming out March 1 2019. The other one is a secret for now. :-) (If you like you can sign up for my newsletter to receive updates, etc. The link is at my website.) Thanks for your interest in my books. I read If Wendell Had A Walrus. It was great! Walruses are wonderful creatures! Thanks for the chance to win a copy of your new book! Lovely story behind the story! There aren't too many walrus picture books. Your book looks fun to read and I love word play jokes, so the page shared is hilarious. I have also started my writing career with magazines and still enjoy the shorter pieces I can complete and submit. Thank you for sharing with us and congrats on your success. Thanks, Danielle! Good luck with all of your writing projects. Walrus--an unusual and clever topic. Looking at the clouds can bring lots of inspiration. Thank you, Lori, for sharing the background of your latest book. I love hearing where authors get their inspiration. A walrus is a unique character. 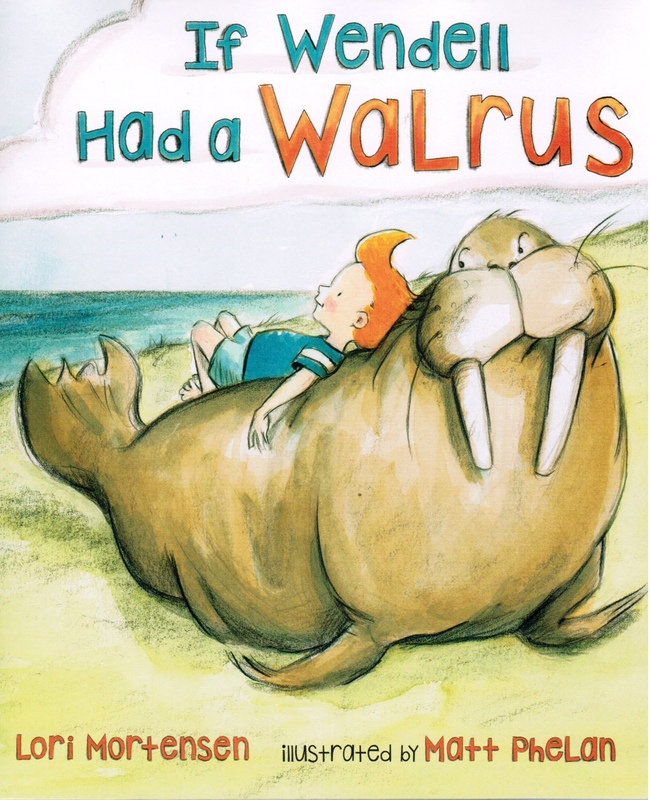 I look forward to reading about Wendall's walrus! Thanks T Bold. I'm always interested in how others have succeeded. I'm glad this post has been helpful. Thanks for sharing your journey. It's very encouraging to hear. This glimpse into Wendell's world has me wanting to know more about that story too. Looks really fun! Thanks, Karan. I'm glad it was helpful.